Add a vibrant splash of colour to walls with these patterned stars wall stickers made from fabric adhesive. 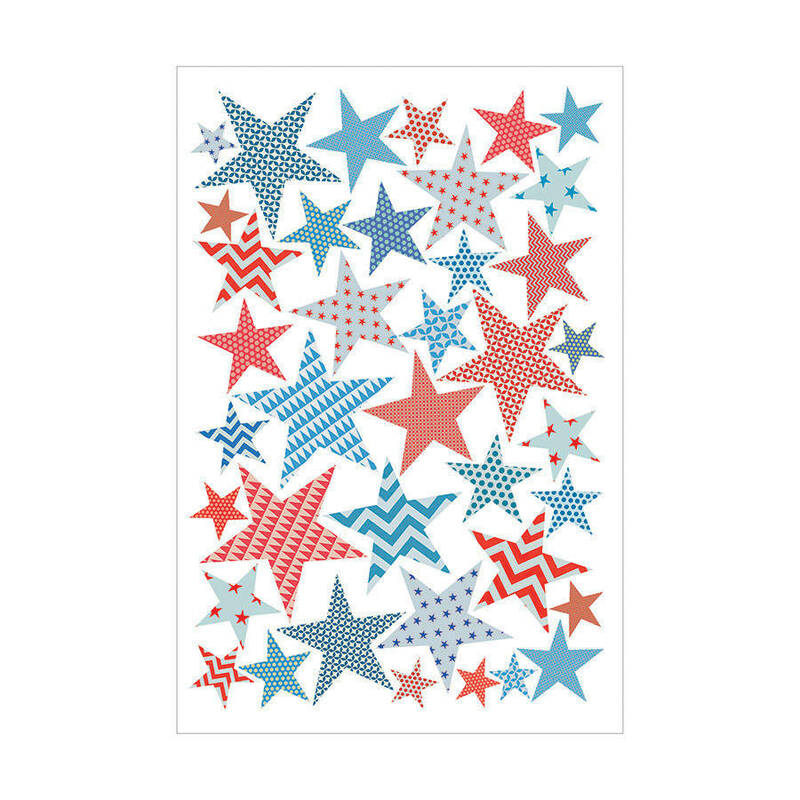 The design features 39 stars in a variety of patterns in shades of red and blue. The fabric is a combination of cotton, polyester and paper that is 100% biodegradable. 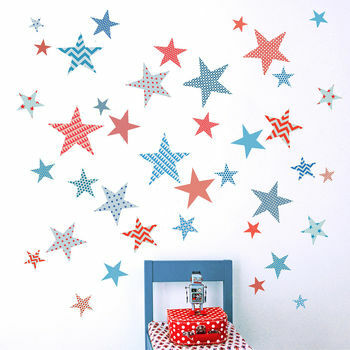 It is free from vinyl, PVC, BPA and phthalates so is a great choice for nurseries and kids' rooms. The stickers are very thin with a matt finish and a slight fabric texture. Can be wiped clean if necessary. SMALL SET: The sheet measures 28cm x 40cm. Large stars are 9cm in diameter. Smallest stars are 3cm in diameter. LARGE SET: The sheet measures 38cm x 56cm. Large stars are 14cm in diameter. Smallest stars are 4cm in diameter. This product is dispatched to you by Koko Kids.